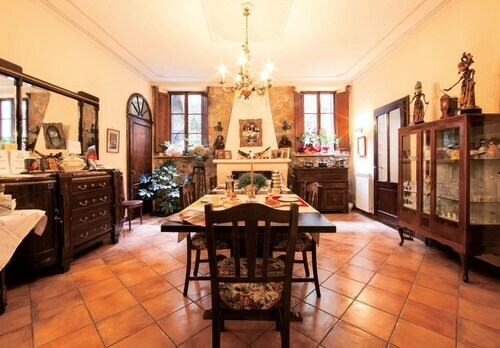 Situated in Montalcino, this townhouse accommodation is within a 5-minute walk of Civic and Diocesan Museum of Sacred Art of Montalcino and Fortress of Montalcino. Museum of Brunello is 3.1 mi (4.9 km) away. 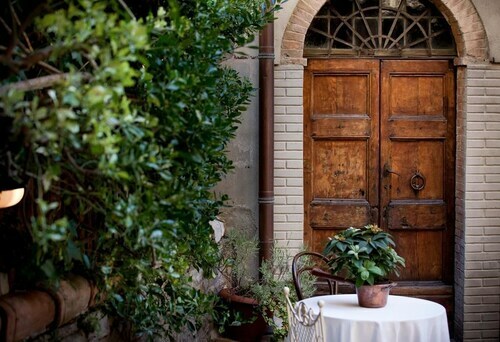 Situated in Montalcino, this hotel is within a 15-minute walk of Civic and Diocesan Museum of Sacred Art of Montalcino and Fortress of Montalcino. Museum of Brunello and Poggio Antico are also within 6 mi (10 km). Situated in Montalcino, this townhouse accommodation is steps from Fortress of Montalcino and Civic and Diocesan Museum of Sacred Art of Montalcino. Museum of Brunello is 3 mi (4.8 km) away. 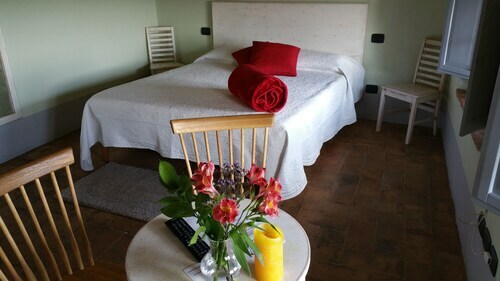 Located in the heart of Montalcino, this farm stay is within a 5-minute walk of Civic and Diocesan Museum of Sacred Art of Montalcino and Fortress of Montalcino. Museum of Brunello is 3.1 mi (4.9 km) away. 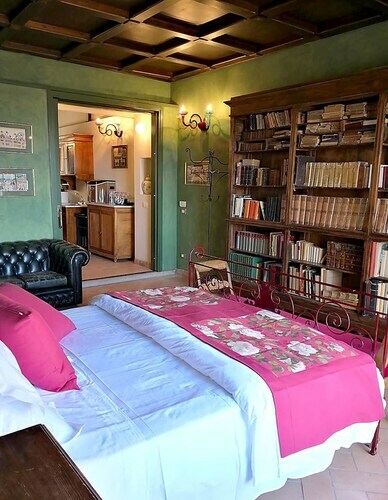 Located in the heart of Montalcino, this guesthouse is 6.6 mi (10.6 km) from Abbazia di Sant'Antimo and 11.8 mi (19 km) from Chapel of our Lady of Vitaleta. Monte Oliveto Maggiore Abbey and Pienza Cathedral are also within 16 mi (25 km). Situated in Montalcino, this townhouse accommodation is within a 5-minute walk of Civic and Diocesan Museum of Sacred Art of Montalcino and Fortress of Montalcino. Museum of Brunello and Poggio Antico are also within 6 mi (10 km). 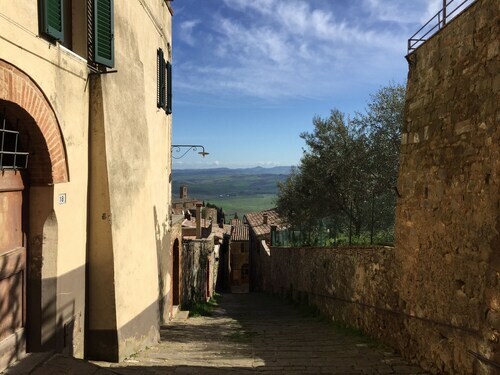 Situated in Montalcino, this townhouse accommodation is within a 10-minute walk of Civic and Diocesan Museum of Sacred Art of Montalcino and Fortress of Montalcino. Museum of Brunello and Poggio Antico are also within 6 mi (10 km). 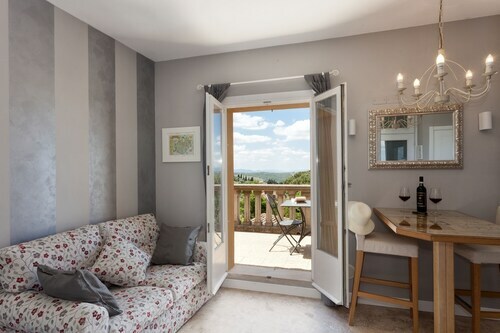 Situated in Montalcino, this townhouse accommodation is steps from Fortress of Montalcino and Civic and Diocesan Museum of Sacred Art of Montalcino. Museum of Brunello is 2.9 mi (4.7 km) away. Located in the heart of Montalcino, this townhouse accommodation is steps from Fortress of Montalcino and Civic and Diocesan Museum of Sacred Art of Montalcino. Museum of Brunello is 2.9 mi (4.7 km) away. Situated in a rural location, this historic resort is within a 5-minute walk of Civic and Diocesan Museum of Sacred Art of Montalcino and Fortress of Montalcino. Museum of Brunello is 3.1 mi (5 km) away. Situated in Montalcino, this townhouse accommodation is steps from Civic and Diocesan Museum of Sacred Art of Montalcino and Fortress of Montalcino. Museum of Brunello is 3.1 mi (5 km) away. 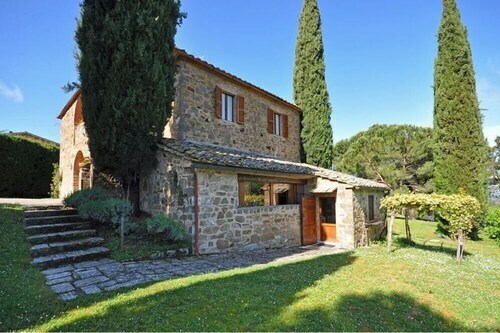 Situated in Montalcino, this property is steps from Fortress of Montalcino and Civic and Diocesan Museum of Sacred Art of Montalcino. Museum of Brunello is 3 mi (4.8 km) away. Enjoy an enlightening trip to Civic and Diocesan Museum of Sacred Art of Montalcino, and get to better understand the local culture. You'll find this attraction in Val d'Orcia, 95 miles (153 kilometers) out of Rome, the nation's capital city. If you're looking to be near Civic and Diocesan Museum of Sacred Art of Montalcino, pick a room at one of 11 possible accommdations that are within 2 miles (3 kilometers) of the site. The Agriturismo Le Ragnaie and the Residenza Palazzo Saloni are a couple of suitable choices, located 2 miles (3 kilometers) and 0.1 miles (0.2 kilometers) away, respectively. If you would sooner spend your money on some fun adventures, instead of on cushy hotels, check out the range of budget solutions a short stroll away. You might want to reserve the Piombaia, a mere 1 mile (2 kilometers) away. Alternatively, consider the Il Barlanzone, 0.08 miles (0.13 kilometers) away. You'll find a few upscale establishments a short commute away, perfect for when you're feeling like you need something extra. Suites and rooms at the Castello Banfi - Il Borgo and Rosewood Castiglion del Bosco won't disappoint. Desperate for a caffeine hit? You can settle in for a coffee at Bar Enoteca Il Leccio, a stone's throw from Civic and Diocesan Museum of Sacred Art of Montalcino. If you're planning to dine out, stay in the area and book a table at Da Mara. Of course, there's no finer way to finish off a day of exploring than with a relaxing drink or two. Bar Circolo Arci, also a brief walk away, is the spot to be. Plan a tour of Fortress of Montalcino and uncover past events that formed the local history. Relish the aromatic notes of this area at Tenuta Greppo Franco Biondi Santi. Perhaps not the most glamorous or well-known museum, Museum of Brunello may still be worth visiting if you love to learn. A visit to Poggio Antico will be an experience for your senses. Organize some time at Abbazia di Sant'Antimo, and have a look at the place where untold numbers have come to connect with their spirituality. How Much is a Hotel Room in Civic and Diocesan Museum of Sacred Art of Montalcino? Hotels in Civic and Diocesan Museum of Sacred Art of Montalcino start at $56 per night. Prices and availability subject to change. Additional terms may apply.